As a young undergraduate, I used to love going out into the field - swinging my hammer at any outcrop foolish enough to show itself to me. Whilst I wasn’t as hammer happy as some of my peers (“Jackhammer” Jake in particular), there seemed to be so much rock out there, and too many samples to collect. I can distinctly remember though, standing on a desolate beach in Somerset on a windy afternoon, being told we were not allowed to hammer at rocks here, as the site was a SSSI (Site of Special Scientific Interest). This was probably my first introduction to geologists having an obligation to preserve things, even at small scales such as this. As geologists we have a responsibility to do things sustainably, to preserve and in some cases protect, whilst making the most of the world that we live in and its resources. This obligation, or responsibility, doesn’t stop with the natural environment and its feelings or preservation, but also to the people that live in it. Can the people be more important than the resources or the scientific research? Of course they can and indeed they are - a fact that can often be overlooked. But why, as geologists, should we be bothered about people? Isn’t that what geographers or social scientists do? 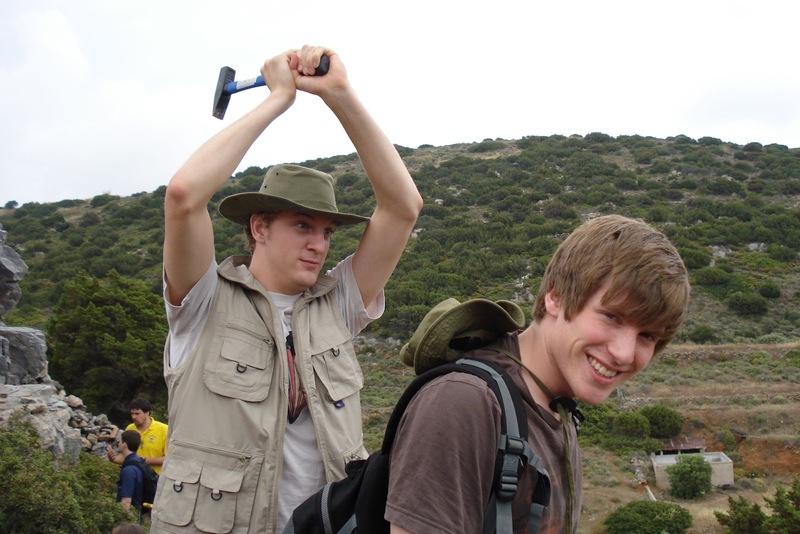 I remember having some disdain for “Jackhammer” Jake, famed for his rock smashing prowess, when he switched courses from geology to environmental geoscience. It was almost as if the word ‘environmental’ made us ‘pure’ geologists shudder. Jackhammer however, was just ahead of the curve and spotted a trend that we should all take note of. It is impossible to divorce the world of science from the public’s impression of it, and so we really do need to keep people in mind when we plan our next research, exploration or extraction. I’m not calling for everyone to become social scientists, not every geologist needs to go out and interview people (please don’t just go out and do a questionnaire to tick this box), but all of us need to at the very least, engage with those that do try to listen to or understand people (social scientists) and we need to keep an open mind. ﻿Half way into my MSc, I worked at the Montserrat Volcano Observatory in the role of scientific communication and outreach. I had gone out there to work at a volcano observatory, hoping to do some quantitative volcanic risk assessment work if the volcano started to erupt, but ended up learning profound lessons about the intersection of people and science. Heightened activity in December 2009 meant that we were no longer able to give sufficient warning to some people in a particular community there, and so the authorities took the decision to evacuate them. Residents there were quite unhappy with the decision to evacuate and in some cases angry. The decision was based on sound scientific evidence, so why didn’t people understand? I was perplexed, but just tried to continue acting professionally. 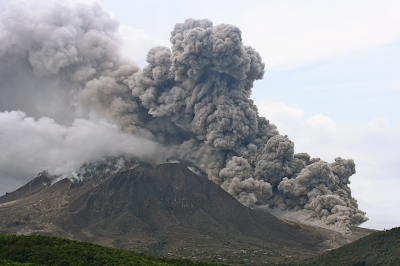 Only later, having acquired some social science research training and returning to Montserrat, did I manage to talk to some of the residents and understand from their point of view why they were so unhappy with the evacuation. What may have seemed black and white to scientists did not seem that way to the residents. You see, we are all people with emotions, feelings and opinions, but we sometimes forget this when we are being professional scientists. We then manage to divorce emotion from our thinking and in some cases decision making, instead relying on pure logic. Clearly from a practical point of view it is sometimes necessary to act with cold logic, but we should be aware of the other dimension, so that we can at least understand, even if it sometimes does not change the decisions we make. People, us scientists included, have opinions and feelings, based on a vast many things. Some opinions may seem ‘wrong’ scientifically, but are they any less valid? The ‘social geologist’ doesn’t need a social science degree... they need to stop and consider the opinions of others before they smash the rock with their hammer, sink a new well or evacuate a village. They are aware of the importance that people and their voices should have in decision making, and strive to be inclusive. If you read the news or articles in scientific journals, our world is facing an uncertain future, in terms of climate, competition for resources or increasing vulnerability to natural disasters. Scientists can’t answer and fix these issues on their own, so we need to include and listen to the public. We can no longer hide inside a lab or behind a computer screen but rather we should make concerted effort to engage with and communicate to people whose lives we affect with our decisions.